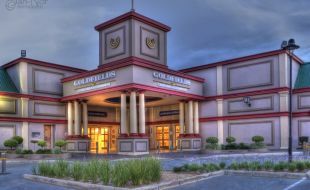 In celebration of its twelfth anniversary, Goldfields Casino will be hosting a festive Family Day to kick off the holiday season on Saturday, 5 December 2015. Guests can look forward to a wide variety of activities on the day for both young and old, from jumping castles and face painting to various stalls showcasing their wares. The assortment of brands and products on offer range from Takalani Toys, Scrap Art Yard, Kung Fu Sushi, Virgin Active, clothing stalls and even a Bio-link scientific screening. The highlight of the day will feature live performances from up and coming local artists and an outdoor braai area for the entire family to enjoy on the day. Parents can relax by taking advantage of the child minding facilities which will be set up in the property’s food court offering story-telling, interactive kid’s entertainment and fun games. In celebration of its 12th anniversary, Goldfields Casino recently hosted a Family Day to kick off the holiday season on Saturday, 5 December 2015. Guests both young and old enjoyed a wide array of activities on the day. The highlight of this event included live performances from up and coming local artists and an outdoor braai area for the whole family. The crowd was left speechless by Marc the magician and with jumping castles and face painting for the kids to various stalls showcasing their wares, guests were thoroughly entertained. Ngubane, Donovan Goliath and Jason Goliath at the Aweh Mzansi Comedy Tour at Goldfields Casino on Friday, 30 October 2015. Over 400 guests attended the Aweh Mzansi Comedy show at Welkom’s premier entertainment destination, Goldfields Casino. This event will be engraved in the minds of all those who were in attendance for a long time to come. 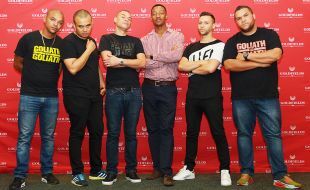 Seasoned comedians: Jason Goliath, Donovan Goliath, Nicholas Goliath, Richelieu Beaunoir and Alfred Adrien took to the stage blowing the audience away with their distinct personalities. In continuing with our commitment to bringing the best family entertainment, Goldfields Casino, will be celebrating their 4th birthday on Friday, 4 December 2015. Guests are invited to join in the festivities on Saturday, 5 December with loads of entertainment for the entire family. Born in Tswelelang township in Wolmaransstad, Frans Hloi started his bodybuilding career at the age of 26. While working in Welkom, he took more interest in his hobby and started taking part in competitions, winning at local, provincial and national levels. Frans kept an impressive fitness level, allowing him to attract sponsorships for international competes. He will be competing in the 2016 International Bodybuilding and Fitness Federation (IBFF) Universe Championship in Bari, Italy where Goldfields will be sponsoring his venture. “I am honoured to be recognised and supported by Goldfields Casino in this manner. I appreciate that they acknowledge my potential, the respect that I have for this sport, my dedication and hard work!” Says Frans. IBFF, founded by Duško Madžarović, aims to promote and develop the sport of bodybuilding and fitness for male and female athletes, while advocating for combatting drug abuse in sports. The CSI sponsorship initiative by Goldfields is aimed at helping disadvantaged members of the community to reach their goals and dreams. Frans has previously participated in a variety of competitions, most recently placing second at the 2014 IFBB Provincials, third place at the WBFF Welkom Classic and second place in the 2014 WBFFSA Championship. “We are proud to sponsor Frans, as he represents South Africa. His love and passion for the sport is inspiring for any aspiring and young body builder” concludes, Goldfields Marketing Manager, Sibongile Horo. The Fury Golden Eagles team participated in the Annual Oldies Festival hosted at the Durbanville Rugby Club, Cape Town from Thursday,24 to Saturday 26 September 2015. 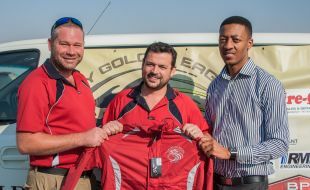 They are representatives of the Northern Free State, who are affiliated to the Griffons Rugby Union which is the official sponsor for the team. Goldfields Casino sponsored jackets for the over 35 age group who form part of the Golden Oldies Sporting Movement. The international movement aimed at bringing together sportsmen and women over the age of 35 to participate in their favourite sports. “We are proud to have supported the team at the festival. This year, there were over 20 teams that participated from all over the country. 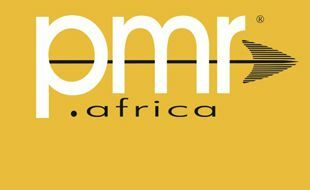 We look forward to next year’s event”, says Sibongile Horo, Marketing Manager of Goldfields Casino. Head to Goldfields Casino for a Night Out for 2 package which runs from 23 October – 11 December 2015. Guests pay R120 per couple for food, drinks and entertainment. Enjoy the night with selected meals at Explorers restaurant, drinks at Casino Bar, R50 FreePlay, and Amusement Centre voucher. Couples can take advantage of the Crèche voucher which allows you to leave your kids at the care centre while you enjoy the night. The package is redeemable every Monday – Friday. “This offer is definitely the best in bringing our guests the value for money in entertainment and dining,” says Marketing Manager, Sibongile Horo. Welkom is in for a treat as Theuns Jordaan prepares to put on a show to remember on Friday, 26 February 2016 at 19:00 at Goldfields Casino. “Theuns is arguably one of the Afrikaans music’s most loved artists, so we are excited to bring him to music lovers in Welkom,” says Goldfields Marketing Manager Sibongile Tantsi. Theuns started his career performing in bars while he was at university. The singer-songwriter’s debut album in the year 2000, Vreemde Stad went platinum after selling more than 200 000 copies. He has since gone on to release four albums, including; Seisoene and Koue Vuur which have sealed him as one of Afrikaans music’s top entertainers. In 2012, Theuns release Roeper, selling over 130 000 copies. These exceptional sales earned Theuns the highest average sales per album in the country. Over the years, Theuns became known for the ease with which he entertains audiences. “Our guests love him and we know that this will be one of his most memorable performances for his dotting fans,” she adds. Tickets are available at the Goldfields Customer Service Desk or Computicket for R120 per person and rewards cardholders can receive up to 20% discount. Slots Factor is one of Tsogo Sun’s most exciting promotions, where slots enthusiasts stand a chance to take home chunks of money if Lady Luck is on their side. Now in its third year, this blockbuster promotion makes its way to Welkom’s Goldfields Casino with qualifying rounds taking place from Monday, 20 July to 13 September 2015 from 12h00 to 22h00 daily. “With a low buy-in of R100, Slots Factor offers an opportunity for great returns for our guests. It also allows them to compete with other slot machine lovers across the country,” says Goldfield Casino Marketing Manager Sibongile Tantsi. To qualify, guests need to head to the Slots Factor Tournament Bank and register. Cardholders are required to present their cards at registration. Once registered, guests need to play the slots on the Blackrock gaming floor at a R100 buy-in. “Last year’s winner was one of our very own Goldfields guests and we hope that we can continue with the lucky streak in 2015,” says Tantsi. The top 2 credit earners for the day will be awarded with FreePlay and 50 top score earners will get a chance to participate in the semi-finals on 19 September at Goldfields Casino. Finalists from the semi-finals will participate in the group finals at Suncoast Casino in Durban on 26 September where they stand a chance to win the R1 million cash prize,” concludes Tantsi. Visit www.golfieldscasino.co.za for more information. As one of 14 Tsogo Sun gaming properties in South Africa, Goldfields Casino supports the National Responsible Gambling Programme. Winners know when to stop. Only persons over the age of 18 are permitted to gamble. National Problem Gambling counselling toll-free helpline: 0800 006 008. For family entertainment at its best, spend those chilly winter’s days at Goldfields. With an array of heart-warming promotions, our guests will be spoilt for choice. Make your Own Luck. To be a part of the promotion simply play your favourite Slots or Tables game; Earn points and redeem your offer from the eHost. There is a share of R 800,000 in cash FreePlay and prizes up for grabs. Look out for our monthly draws on 28 June and 26 July with R 60,000 up for grabs. Gold cardholders stand a chance to win R 10,000, Platinum cardholders R 20,000 and Black cardholders R 30,000. Tickets to the draws are earned for each milestone reached to a maximum of 30 tickets per cardholder. Billy G buffet restaurant is introducing brand new offers for you to enjoy on Wednesdays, Thursdays and Fridays. Eat as much as you like for only R 110 per person. Join us for delicious food and a great vibe! Rewards cardholders save up to 20%. Be sure not to miss these promotions! Francois Henning better known by his stage name Snotkop previously known as Lekgoa is a well-known Afrikaans and Sotho language singer and rapper. He started his music career at age 15 and in the late 1990s adopted the stage name Lekgoa singing in the South African kwaito genre of music. By 2012, he became one of the top selling South African artists in Africa in Afrikaans language. Snotkop was nominated for 9 MK, Tempo and Vonk awards, notably "Best Afrikaans Pop album". In 2009, he was nominated for South African Music Awards in the category "Best Afrikaans DVD" during the 15th annual awards. In 2012, Snotkop won "Best Sokkie Dans Album" award for his album Ek Laaik Van Jol during the 18th South African Music Awards. Lianie May is a South African Country/Rock/Pop singer, songwriter and actress who launched her career in 2007 with her debut album Vergeet My Nie (Forget Me Not) and is best known for her song Soen My Nie Meer Nie (Don't Kiss Me Anymore). Lianie is an Afrikaans songstress musically renowned for her voice which has been compared to Country greats Shania Twain and Dolly Parton. As a former member of the band ADAM, Joe now has a solo career with his voice behind the recent theme song of one of the most talked about and highly rated Afrikaans films of 2014, ‘Pad na jou hart’. Joe discovered his love for singing at a very young age. His mother was a music teacher and taught him to play the piano before he went to school. Since then Joe has aspired to become a singer/producer and right now he is living that dream. Johnny Appel – real name Juan Appelgrein is an R&B vocalist from George, and winner of SA’s Got Talent 2013. His first single, Monday Night, was co-written with Flash Republic’s Tamara Day and South African songwriter André Scheepers. He is proudly known as South Africa’s version of pop star Justin Bieber. “We are proud to bring these well-loved South African entertainers to fans in our area. With a line-up this formidable, tickets are set to sell out quickly, so we encourage our guests to get them early,” concludes Tantsi. Tickets are available from Computicket and Goldfield’s Customer Service desk at R 150 per ticket. Sibongile Tantsi has been appointed as Marketing Manager at Goldfields Casino, after working for the Tsogo Sun group in various roles across the group’s properties for almost 6 years. Sibongile started her career in 2009 as a promotions co-ordinator at Emnotweni Casino. From there she joined Gold Reef City as a Promotions Duty Manager and later served as an Assistant Marketing Manager for The Ridge Casino, Hotels and Entertainment. In April 2015 her hard work was recognised with a well deserved promotion to Marketing Manager at Goldfields Casino. Born in Zwelitsha in the Eastern Cape, Sibongile moved to Cradock where she matriculated from Cradock High School, she then completed a National Diploma in Tourism Management from the Durban Institute of Technology. Sibongile’s impressive academic record further includes a Bachelor of Technology in Tourism Management from the Nelson Mandela Metropolitan University, a Post Graduate Diploma in Marketing from UNISA and a Management Development Programme at the University of Stellenbosch Business School. When asked what drives her, Sibongile says that new challenges keep her on her toes. Her personal philosophy dictates that every day is a learning opportunity and she strives to constantly improve herself as a person. Sibongile credits her colleagues as an amazing group of people who have welcomed her and provided enormous support. She is looking forward to working with a team who are as dedicated as her in their efforts to deliver great entertainment offerings to the people of Welkom. In her new role at Goldfields, she aims to focus on creating special moments for guests and upholding the Goldfields brand. Battling to think of a fun Mother’s Day activity that is not the usual breakfast in bed? Luckily, Goldfields is giving guests and Welkom residents the opportunity to celebrate Mother’s Day in the same luxurious way that Jay Gatsby would, with lively music, decadent food and lots of champagne to spoil mom! On Saturday, 9 May 2015 Goldfields will host a Gatsby themed dinner and entertainment evening, strictly for the ladies. A special Mother’s Day brunch will be prepared at Explorer’s restaurant from 9am to 1pm where all mothers will receive a complimentary Strawberry Don Pedro. Please find the brunch menu attached. The casino floor will also come alive on Sunday, 10 May when Goldfields will host special ‘ladies-only’ draws at 2pm, 3pm, 4pm and 5pm. “With a whopping R10 000 up for grabs, it only takes 500 points for a ticket into the draw and to make Mother’s Day a little more thrilling,” Tantsi concludes. As one of 14 Tsogo Sun gaming properties in South Africa, Goldfields supports the National Responsible Gambling Programme. Winners know when to stop. Only persons over the age of 18 are permitted to gamble. National Problem Gambling counselling toll-free helpline: 0800 006 008. 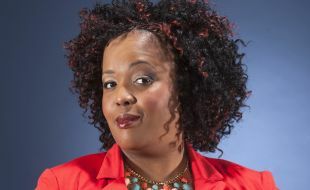 On the back of Barry Hilton’s hilarious The Way I See It comedy show in April, Goldfields Casino has announced that the outrageously funny Tumi Morake will be coming to spread some cheer in Welkom. Tumi takes to the stage at the casino’s conference centre on Friday 27 June, adding some colour to the winter entertainment line-up. One of the country’s most sought-after female stand-up comedians, Tumi is fearless, intelligent and articulate. Making a swift success in a field mostly dominated by men, she was the only female among international and local acts at the 2009 Vodacom Funny Festival. Since her rapid rise, Tumi has managed to keep a firm footing as one of a handful of successful female comedians on the corporate and commercial scene. She has shared the stage with comics such as David Kau, Marc Lottering, Stuart Taylor and Chris Forrest; at festivals such as Whack Jobs, Heavyweights Comedy Jam, Blacks Only, King Size Comedy, Have a Heart, Just Because Comedy Festival, The Tshwane Comedy Festival, The Lifestyle SA Festival and Old Mutual Comedy Encounters. Her comedy features intelligent and funny observations of South Africa’s strange contemporary social scene and her own multi-cultural life and experiences of motherhood. Tickets to her show at Goldfields Casino cost R 80 per person and will be available at the Casino’s Host desk. Comedy-hungry fans are urged to book in advance as places are limited. Tickets to the casino’s comedy events usually sell-out fast. Winning was easy at Goldfields Casino in March. A staggering R 8,041,343 in jackpots was paid out to 3 262 lucky winners by the casino during the course of the month. The biggest jackpot hit in the lucky month of March was R 92,490 on the 3rd of March 2014. All of the recorded jackpots paid out were for a minimum of R 1,000. 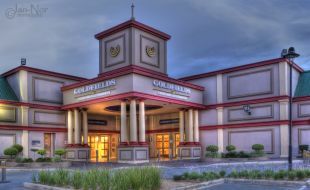 Goldfields Casino offers 250 slot games in various denominations, and nine gaming tables, including Roulette, Blackjack and Poker. Chance rules at Goldfields Casino. All equipment, from roulette wheels to slot machines, are approved by the regional gaming board to make sure they’re balanced and working properly. Legislation dictates that these machines must maintain a certain standard for public use within the casino. The Provincial Gambling Board and the SABS control and certify that all Slots Machines are compliant and meet the strict gaming regulations. Checks and balances are also put in place to stop the machines from being tampered with.“It really is a game of pure chance when you play the slots at Goldfields Casino,” says Betts. The casino’s loyalty programme offers Smart Gaming and Smart Benefits. Members enjoy the benefits of coinless play and earn points playing their favourite games. These points can be exchanged for tickets to participate in the many exciting promotions and lucky draws the casino hosts on a regular basis. A full house of comedy fans cheered, laughed and clapped in an effort to keep comedy legend, Barry Hilton, on stage for longer when he recently performed at Goldfields Casino. Performing his latest one man show, The Way I See It, the rubber-faced comedy veteran had his audience in stitches of laughter with his elastic-like facial expressions and hysterical observations of everyday situations. As always, he kept it clean, proving that stand-up comedy can be riveting and hilarious, without swearing, political references and general dirt. Buoyed by the feedback from guests, Goldfields Casino hopes to bring him back to perform for Welkom again soon. 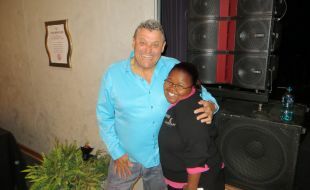 He is pictured here after his show with Dineo Mahane, one of Goldfields Casino’s employees. With less than a week to go, now is the time to reserve your ticket for Barry Hilton’s hilariously funny one-man show, The Way I see It, which will be held on Friday the 4th of April at Goldfields Casino. Unintentionally and effortlessly, Hilton – the International Man of Mirth – has crafted his own classic blend of observational satire, circular storytelling and animated expressions. 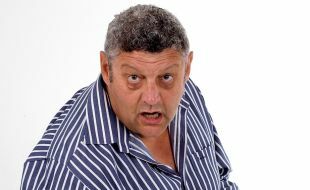 Hilton is synonymous with inducing stomach-crunching laughter, exerting his neck and eyebrows in weird ways, saying the word ‘kak’ a lot and being loved and known by his nickname, ‘The Cousin’. The Way I See It, gives audiences a peek inside what’s going on in his quirky head. Hilton has a delightful knack of finding the ludicrous and humorous in daily situations, turning what seems perfectly normal on its head to make us laugh at life. “Fans who will be attending the show must brace themselves for a real tummy workout because they are literally going to be in stitches laughing,” concludes Betts. Tickets to the show at Goldfields Casino cost R 100 per person and are available at the casino’s Host Desk. The show starts at 19h00. For more information please contact us on +27 57 391 5700. Got Your Tickets For Supercool? Calling on all moms and dads! The countdown to Nedine’s colourful music show at Goldfields Casino has begun. With just a few weeks to go until the Supercool concert on the 22nd of March, you better get booking. You do not want your kids to miss out on this one. The bubbly Afrikaans songstress will be performing songs from her gold-selling albums Supercool, Supercool 2, and Supercool vir Jesus in this special, one-time event organized by the Matjhabeng Publicity Association. Kids can get up and dance to vibrant songs such as, “I’ll stick to Jesus like bubblegum”, “Popcorn” and “Supercool vir Jesus”. Though aimed at kids between the ages of six and 14, her shows have wide appeal, and adults will certainly be heartened by children’s response to her. Zany South African entertainer, Jack Parow, performed to a sell-out audience at the Goldfields Casino recently. Those who missed it can rest assured that he will be back. According to the casino’s Marketing Manager, Sharika Betts, Parow simply loved Welkom and the spirited crowd who attended the show that he said he will be sure to come back in the near future for another one. Parow, known for his colourful performances and sometimes unorthodox antics, delivered a lively show, jammed to the brim with all the songs that have made him a household name amongst Afrikaans rap music fans, including Cooler as EkkeandDansDansDans. As always, the show was laced with his no-nonsense humour. After the show, sponsored by Richelieu, fans were given the chance to have their photos taken with the man himself. Employees from Goldfields Casino acknowledged the bravery of those fighting cancer – as well as those who have lost their battle – by joining cancer survivors and their friends and families for the CANSA Relay for Life which took place at the rugby stadium in Welkom, recently. 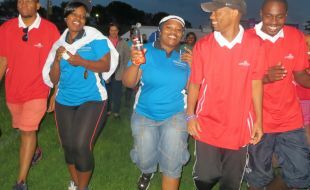 CANSA Relay for Life is a fun, spirit-building overnight relay that aims to raise awareness and fund for CANSA. Goldfields Casino employees were in high spirits, despite the rainy and gray weather that prevailed over Welkom, when they participated in the CANSA Relay for Life at the rugby stadium recently. The CANSA Relay for Life not only serves to raise awareness of cancer, but also serves to send out a message of hope to those who are afflicted with the disease, including cancer patients, their families, friends and colleagues. Goldfields Casino plays host to this year’s CANSA Shavathon on Saturday the 1st of March. This is the first time that the casino has played host to the event which is held annually to raise awareness and funds for CANSA. Goldfields Casino’s Marketing Manager, Sharika Betts calls on the community to come down to the event and show their support for CANSA. “The CANSA Shavathon is one of South Africa’s most-supported and best-loved charity events. We are delighted to be part of the 2014 CANSA Shavathon and look forward to welcoming hordes of people to shave or spray their hair to show solidarity with people affected by cancer, and help generate funds,” she encourages. This year, being the 11th year that the national CANSA Shavathon has been held, people will have the choice of shaving, spraying or stenciling their hair. Adults can shave, spray or stencil their head for a donation of R50 (or more) and children under 12 years old pay for R 25. Participants can pay cash to CANSA Shavathon representatives at Goldfields Casino on the day or, to fast track the process, they can make an online donation in advance on www.shavathon.org.za. Those making online donations must remember to take their confirmation email with them when they visit the Shavathon stand at Goldfields Casino. Those who aren’t brave enough to do any of those can choose to pay a “bailout fee”. All funds raised through CANSA Shavathon events will go towards CANSA initiatives. For more information please call +27 57 391 5700. Bubbly Afrikaans songstress Nedine hits the stage at Goldfields Casino for a Supercool concert for local kids on the 22 of March. The show – hosted by the Matjhabeng Publicity Association – will feature songs from her gold-selling salbums Supercool, Supercool 2, and Supercool vir Jesus. In her characteristic energetic style, Nedine will get the kids up, dancing and singing along to her vibrant songs, including, “I’ll stick to Jesus like bubblegum”, “Popcorn” and “Supercool vir Jesus”. Though aimed at kids between the ages of six and 14, her shows have wide appeal, and adults will certainly be heartened by children’s response to her. Tickets to the show cost R 50 per person and are available Clock Tower, Stateway, Welkom. For more information, contact +27 57 352 9244. Goldfields Casino is proud to announce that the exquisite, super-talented Juanita du Plessis will perform live in concert on 7 March 2014 at 19h00. Recently crowned, the most popular Afrikaans female artist for the seventh consecutive year at the Annual Huisgenoot Tempo Awards, du Plessis promises a spectacular show featuring some of the most popular songs from her career, as well as her latest hits from her top-selling album, Engel van My Hart. Adored by her fans in South Africa and Namibia, from where she hails, du Plessis is a platinum-selling artist whose Afrikaans pop and gospel music has earned her numerous awards over the years. She has a captivating stage presence, exceptional voice and an approachableness that makes her shows unforgettable. Goldfields Casino’s Marketing Manager, Sharika Betts says: “We are thrilled to present Juanita live in concert right here in Welkom this year. It certainly gives fans something to look forward too. Juanita is revered for her spectacular live shows. She just has that amazing knack of holding the gaze and touching the hearts of the people she sings for”. Juanita’s concert will take place at the casino’s Conference Centre at 19h00. Tickets are available at R 120 per person and can be bought at the casino’s Host Desk or booked at sharika.betts@tsogosun.com / marelize.taljaard@tsogosun.com. Betts recommends that fans book their tickets as soon as possible to avoid disappointment as places are limited. Welkom’s roulette enthusiasts can put themselves in the running for a staggering R 1.7 Million in Tsogo Sun nationwide 2014 Roulette Masters Tournament. There is a staggering R 1.7 Million to be won in Tsogo Sun’s first-ever nationwide Roulette Masters Tournament, which kicks off on the 13th of January 2014. With R1 Million guaranteed to the ultimate winner, the stakes are high. Welkom’s Roulette enthusiasts can put themselves in the running by participating in the qualifying rounds at Goldfields Casino between the 13th of January and 14th of March 2014. Heats take place Mondays, Tuesdays and Thursdays from 18h00 – 22h00, where the buy-in is just R 100 and there is no limit to the number of heats,players enter. Goldfields Casino will host its semi-final and final events on the 15th of March 2014 at 18h00, to determine who will be going through to the national finals on 29 March at Gold Reef City Casino, where a minimum of R 1.7 Million in prize money and a guaranteed first prize of R 1 Million will be won. “We are thrilled to announce Tsogo Sun’s first national Roulette Masters Tournament and to give local Roulette players a chance to be part of it. With over R 1.7 Million in prize money to be won, it is the biggest Roulette tournament to ever be hosted on a national scale and we wish everyone luck,” says Goldfields Casino’s Marketing Manager, Sharika Betts. Every weekend for nine weeks, Roulette heats will be held at 14 Tsogo Sun Casino’s, with between one to five players constituting a heat. After buying in, each player receives chips and must play every spin. Players will be given three spins of 90 seconds each and at the end of three spins, the chips remaining will be totalled and scores will be entered onto the leader board. Players can enter as often as they like, especially if they don’t make the leader board or feel their present score is too close to the qualification cut-off level. At the end of the nine-week qualifying period, the player with the highest chip winnings from a single buy-in, will automatically qualify for a seat in the Casino finals and the next 20 players will play off for the remaining six seats in the Gold Reef Casino finals. Only seven – the six top players from the semi-final round and the top player from the qualifying period – will compete for R 35,000 in prize money, the title of Goldfields Casino’s Roulette Masters 2014, and the chance to go to Johannesburg for the grand finale. Once all the finals have been held in the respective Casino’s, 36 grand finalists from the various Casinos’ will draw table and playing positions at Gold Reef City Casino. A semi-final round will determine the seven top earning players who will play off in the finals, which constitutes seven spins. The overall winner is the player with the highest total value in chips at the end of the seven spins. In total there is R1, 275,000 to be shared between the seven finalists. The tournament is open to everyone over the age of 18. People can register to participate at Goldfields Casino’s Host Desk. There is no need to be a club member to participate in the tournament. Tsogo Sun proudly supports the National Responsible Gambling Programme. Winners know when to stop. Only persons over 18 are permitted to gamble. National Problem Gambling Counselling Toll Free Helpline 0800 006 008. Tsogo Sun is the leading hotels, gaming and entertainment company in South Africa, providing a vast variety of hospitality and exciting entertainment and leisure experiences. Combining an established heritage with a professional and energised approach, the group proudly encompasses 14 casinos and over 90 hotels in South Africa, Africa, and Seychelles. The company’s hospitality interests offer the widest distribution of hotels in Africa, providing world-class accommodation across all markets, including elegant, individually branded Deluxe hotels and well-known trusted market leaders in the premier through budget segments, including Southern Sun hotels, Garden Court, Sun Square, StayEasy and SUN1 hotels. The exciting urban and resort casino portfolio includes the most popular entertainment destinations, strategically located throughout South Africa. In the Gauteng province, Tsogo Sun owns the group’s flagship property, Montecasino in Fourways, which features, amongst other attractions, the award-winning Teatro; Gold Reef City Casino and Theme Park in Southern Johannesburg; and Silverstar Casino to the West in Krugersdorp. Additional properties are owned and operated in the Western Cape, Eastern Cape, Free State, Mpumalanga and KwaZulu-Natal, including the jewel on Durban’s Golden Mile, Suncoast Casino and Entertainment World. If you haven’t yet booked your seat at Jack Parow’s one-night-only show at Goldfields Casino on the 31st of January, you haven’t missed the boat. There are still tickets available at the casino’s Host Desk at R 120 per person. Parow, known for his colourful performances and sometimes unorthodox antics, has promised a lively show, jammed to the brim with all the songs that have made him a household name amongst Afrikaans rap music fans, including Cooler as Ekke and DansDansDans. As always, the show will be tinged with his no-nonsense humour. Since kicking off his career in 2009, Parow has remained one of the country’s most-followed and most-colourful entertainers. Although he is focused on his solo career, Parow has done some awesome collaborations with some of South Africa’s biggest artists including Die Hewels Fantasties on the song Die Vraagstuk. A firm favourite in the line-ups of South Africa’s most popular music festivals like OppiKoppi, he never fails to get his audiences up and dancing – and chins wagging. “We are thrilled to have Jack Parow performing at Goldfields Casino for the first time. Un-imitable, unapologetic, and unorthodox, Parow is known for delivering energetic, entertaining and humorous shows. With a blend of music and brazen humour, his shows are quite unlike any other. It’s just the way to end off January with a bang,” says Goldfields Casino’s Marketing Manager, Sharika Betts. The show takes place at the casino’s Conference Centre at 19:00 on 31 January 2014. Seats are limited and fans are urged to pre-book their tickets in advance to avoid disappointment. The show carries an age restriction of 15 (PG). Goldfields Casino is proud to announce that the exquisite, super-talented Juanita du Plessis will perform live in concert on 7 March 2014 at 19h00. Recently crowned, the most popular Afrikaans female artist for the seventh consecutive year at the Annual Huisgenoot Tempo Awards, du Plessis promises a spectacular show featuring some of the most popular songs from her career, as well as her latest hits from her top-selling album, Engel van My Hart. Adored by her fans in South Africa and Namibia, from where she hails, du Plessis is a platinum-selling artist whose Afrikaans pop and gospel music has earned her numerous awards over the years. She has a captivating stage presence, exceptional voice and an approachableness that makes her shows unforgettable. Goldfields Casino’s Marketing Manager, Sharika Betts says: “We are thrilled to present Juanita live in concert right here in Welkom this year. It certainly gives fans something to look forward too. Juanita is revered for her spectacular live shows. She just has that amazing knack of holding the gaze and touching the hearts of the people she sings for”. Juanita’s concert will take place at the casino’s Conference Centre at 19h00. Tickets are available at R 120 per person and can be bought at the casino’s Host Desk or booked atsharika.betts@tsogosun.com /marelize.taljaard@tsogosun.com. Betts recommends that fans book their tickets as soon as possible to avoid disappointment as places are limited. 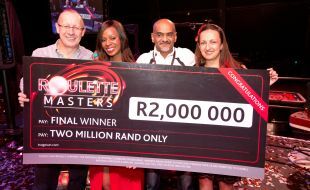 The first prize winner of Tsogo Sun’s third annual Roulette Masters is a delighted Gnanasagaren Gounder from Randburg who stayed the course in the exciting group-wide tournament and took home a cool R2 million first prize at the grand finale held at Silverstar on 19 March. Gnanasagaren qualified and represented Silverstar Casino in the West Rand of Johannesburg. “As in previous years it was a very tense final, with the outright winner only being decided on the last spin. Our congratulations go to Mr Gounder who demonstrated skill and strategy in the adrenaline-fuelled final stages of this highly popular tournament,” says Steve Hight, Tsogo Sun’s Director of Gaming. “Of course, he wasn’t the only winner, and we also congratulate the six other finalists who made it through to the finals and all walked off with cash prizes totalling just under R1.5m.” The seven finalists who made it through the semi-final rounds represented five of the 14 Tsogo Sun properties, namely Silverstar, Suncoast, Queens, Hemingways and The Caledon. Hight notes that the success of the tournament saw the total prize pool increasing from an initial guaranteed R2.5 million to just over R4 million due to the unprecedented number of buy-ins. “This tournament offers the highest prize money for a Roulette tournament held anywhere within Africa with a buy-in of only R100, and every year we’re thrilled to see the growing enthusiasm for it among players at all our casinos.” The total prize money for the three Roulette Masters tournaments to date amounts to just over R10.1 million. “It’s extremely gratifying that two of our smaller properties were represented in the finals, as this is one of the greatest benefits of a group-wide tournament of this nature. Under normal circumstances, patrons at casinos in outlying areas would not have the opportunity to compete for such substantial prizes, and this one of strengths of the Tsogo brand,” says Hight. Second prize of R750 000 was won by a resident of Greyton, Cape Town representing Caledon Casino; third prize of R250 000 went to a resident of Durban North representing Queens Casino; and a winner from Queensburg, Durban representing Hemingways Casino won fourth prize of R150 000. The final three place winners took home R135 000, R125 000 and R78 100 respectively. Roulette Masters launched on 19 January and qualifying rounds took place at the respective casinos – Montecasino, Gold Reef City and Silverstar in Gauteng; SunCoast, Golden Horse and Blackrock in KZN; The Caledon, Garden Route and Mykonos in the Western Cape; Emnotweni and The Ridge in Mpumalanga; Hemingways and Queens Casino in the Eastern Cape; and Goldfields in the Free State – until 3 March. The unit finals took place on 5 March and 40 hopefuls then went through to the group semi-finals, at Silverstar on 19 March which was whittled down to seven finalists in the grand finale. Interestingly, the wheels at Tsogo Sun’s 14 casinos spun more than 12 800 times for the duration of the tournament – with every spin of the wheel increasing both the stakes and the nail-biting excitement that is one of the hallmarks of the tournament, for players and spectators alike. Tsogo Sun has a portfolio of over 90 hotels and 14 casino and entertainment destinations throughout South Africa, Africa and the Seychelles. For full details on Tsogo Sun Roulette Masters 2015, visit tsogosun.com, follow on Twitter @TsogoSun or like on Facebook /TsogoSun. To follow the Roulette Masters 2016 journey on Twitter check out #TsogoRoulette. There was a 24% increase in buy-ins from 2015, which saw 32 714 entries, to 2016, with 40 661 entries. The grand final winners again received the same amount in 2015 and 2016, with each one walking away with R2 million in cash. However, this year prize money at the different stages of the tournament was increased as a result of increased popularity and participation. A total of R4 066 100 (in cash) was awarded at the various stages, with R3 488 100 going to the top seven players in the grand final. Close to R9.2 million has been given away in Roulette Masters since its inception three years ago. For more information go to tsogosun.com, follow us on Twitter @TsogoSun or like us on Facebook /TsogoSun.